Comments: Fun! And I love the cabling up the back of the leg. 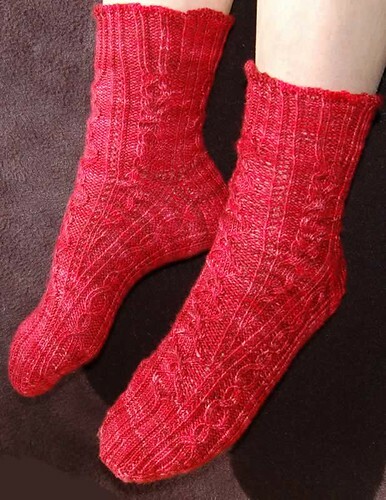 I should have made these a bit longer, and I had plenty of yarn left over to do it. You're right,the cabling on the back is so lovley.